The ECS-9710 Expandable Embedded Computer is powered by a Quad Core 6th Gen Intel® Xeon®/ Core™ i7 (Skylake-H) CPU. 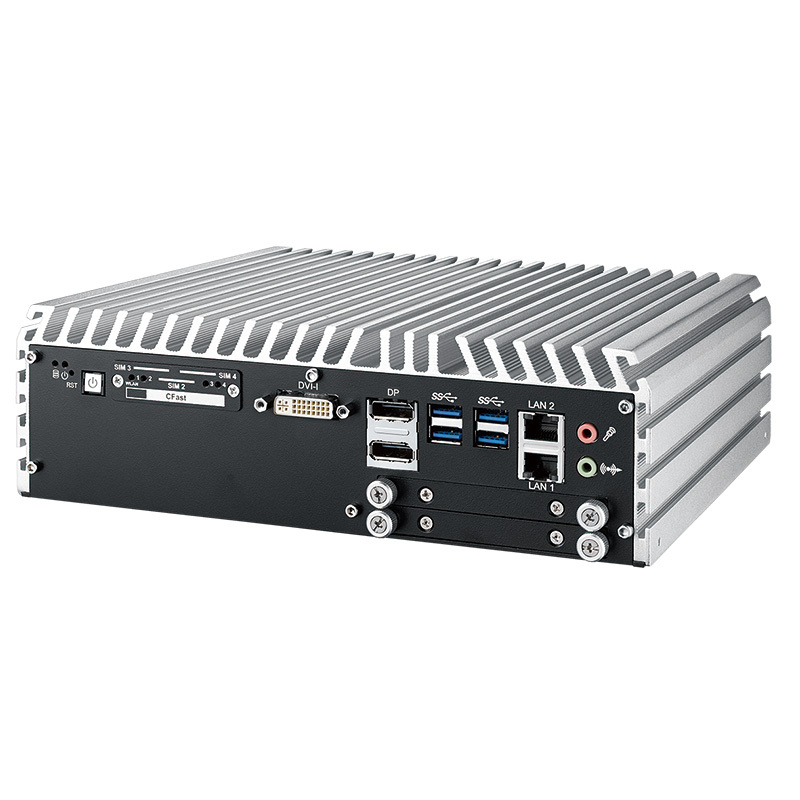 Feauting a completely solid-state, fanless, -25°C to 70°C operating temperature, multiple I/O connections, excellent system performance and mobile availability, smart manageability, 6V to 36V power input with 80V surge protection, ignition power control, intelligent circuit protection, and rugged reliability. 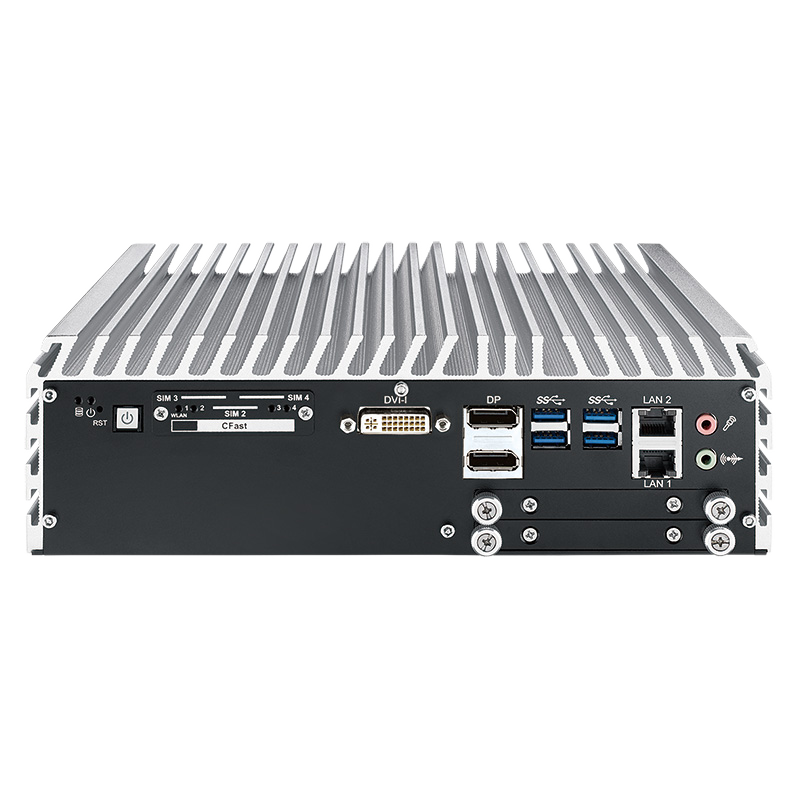 Additional features include Intel® CM236, 6 Gigabit LAN with 4 PoE+, 2 Front-access SSD Tray, 1 PCIe x16 Slot, 4 SIM, 6 USB 3.0, 4 COM, 32 Isolated DIO, High Performance, Rugged Chassis, Extended Operating Temperature range. 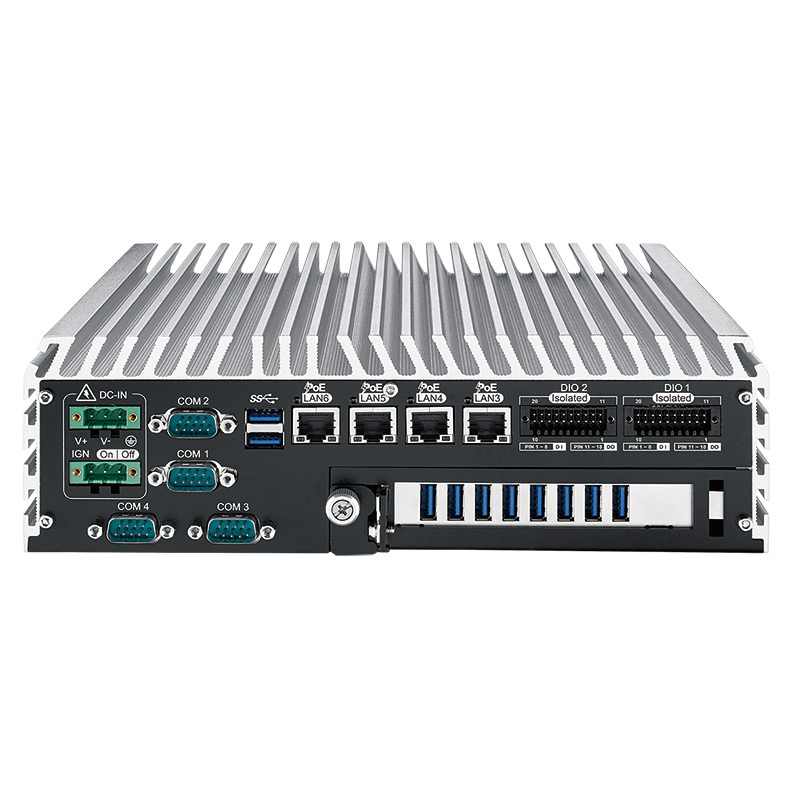 The ECS-9700/ 9600 Series Fanless Embedded System is an excellent computer solution for Machine Vision, Factory Automation, Robot Control, Smart Manufacturing, Mobile DVR/NVR, Intelligent Surveillance, Industry 4.0 and any Internet of Thing (IoT) performance driven embedded applications.